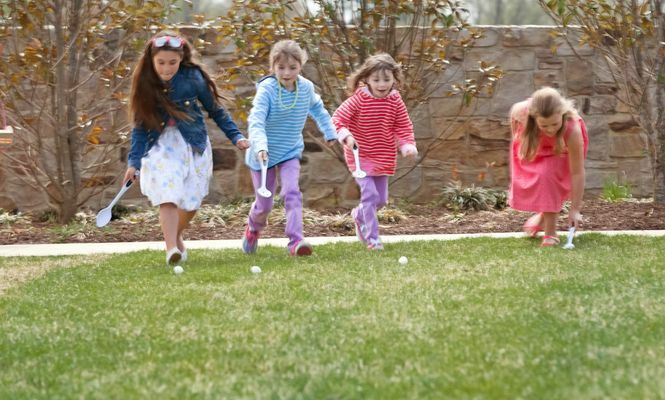 Middleburg, VA – As spring unfolds, generations are invited to join Salamander Resort & Spa as the resort provides the wholesome goodness of a traditional Easter where family and togetherness matter most. Beginning Saturday, April 4, guests can hop over for the colorful weekend celebration. 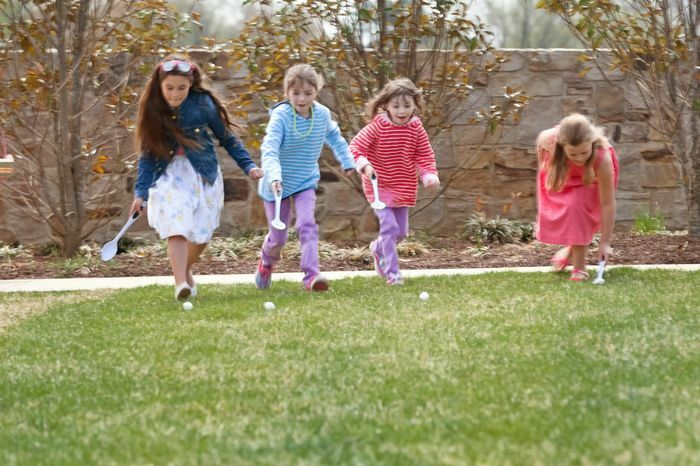 Salamander features Easter and Spring-themed festivities including Easter Egg Dying, Magnet Making, a special Easter-themed GPS Hunt and a marcaron-making class with the resort’s pastry team. The festive weekend culminates on Sunday with the second annual Easter Brunch Buffet in the Middleburg Ballroom featuring a children’s area with bounce house and crafts as well as a traditional Easter Egg Hunt and Egg Roll. Seating times are 10 a.m., 12:30 p.m. and 3 p.m.; $89 per adult, $35 per child. The Egg Hunt and Egg Roll will take place out on the Middleburg Terrace 30 minutes prior to each seating at 9:30 a.m., 12 p.m. and 2:30 p.m. Guests can enjoy delicious Easter fare and see delighted faces when Mr. Cotton Tail makes a surprise visit as complimentary pony rides are led through the Grand Lawn from 1:30 p.m. – 2 p.m. This year, Salamander is excited to launch the first Tree Top Egg Drop. Guests can experience the 20-acre Tree Top Zip Tour plus compete against the family with egg drops throughout the adrenaline-pumping adventure. $123 per person. Families can travel through the town of Middleburg with a horse-drawn carriage ride 10 a.m. – 3 p.m. A one-hour ride is $400 and a half-hour ride is $275. For all reservations, please contact 866.938.7370 and for a complete list of Easter activities, visit www.salamanderresort.com. Opened in August 2013, Salamander Resort & Spa is a LEED Green Building Certified resort situated in the historic village of Middleburg, VA on 340 picturesque acres. Located only one hour from Washington, D.C and just 20 miles from Washington Dulles International Airport, the resort is designed to respect the architectural traditions of Virginia’s countryside with 168 spacious rooms and suites that blend into their natural environment. Resort Owner Sheila C. Johnson has created a luxurious destination featuring an award-winning 23,000-square-foot spa, the reputable Harrimans Virginia Piedmont Grill, local favorite Gold Cup Wine Bar, a dedicated Cooking Studio, a chef-inspired Culinary Garden as well as the adventurous Tree Top Zip Tour. The resort includes a full-service Equestrian Center with unique programming, a 22-stall stable and riding arena. Salamander features 12,000 square feet of indoor conference and event facilities, including a 5,000-square-foot Grand Ballroom. For more information, visit www.SalamanderResort.com or call 866.938.7370.